Nigerian Government and the United Kingdom have signed bilateral agreements in the areas of defence and security partnership. The Minister of Foreign Affairs, Mr Geoffrey Onyeama, disclosed this to reporters at the Presidential Villa in Abuja. 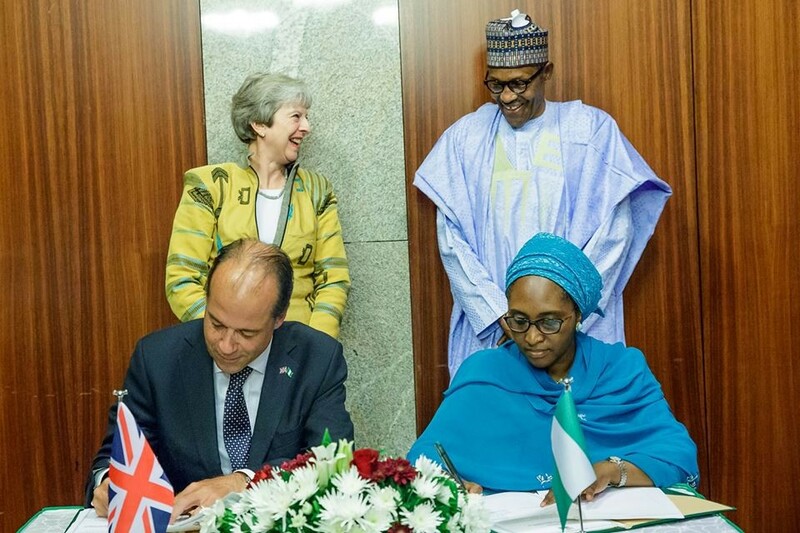 The agreements followed a meeting between President Muhammadu Buhari and British Prime Minister, Theresa May, at the State House in the nation’s capital, Abuja. According to the minister, “The Nigerian Government and the United Kingdom have signed bilateral agreements in the areas of defence and security partnership as well as a comprehensive agreement on economic development.